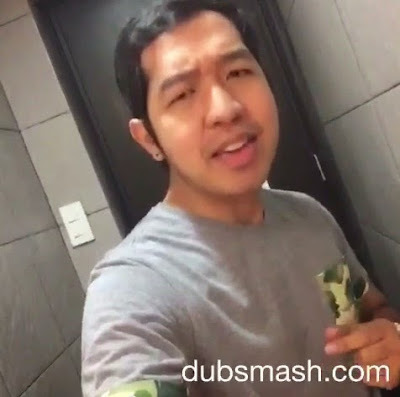 Home Dubbing Dubsmash Dubsmash Craze Maging Sino Ka Man Maging Sino Ka Man Dubsmash Sam Milby Sam Milby Dubsmash Trending Trending Topic Trends #Dubsmash Craze - Sam Milby: "I Never Said That I Love You"
#Dubsmash Craze - Sam Milby: "I Never Said That I Love You"
Did you remember this famous line: "I never said that I love you?" Yes, that is the famous line of the rockoustic heartthrob Sam Milby from the hit 2006 teleserye, "Maging Sino Ka Man." Now, let's relive this killer line from Sam via the worldwide craze Dubsmash. Yeah, I have not only one but two versions of Sam's dubsmash. It's hard for me to choose which between the two to share it with you since both of them were great. Therefore, I decided to share both!